Imagine you’re planning on cooking up a big hunk of salmon for dinner on a weeknight. The week has been busy, and you really want a great meal for you and your loved ones without a lot of fuss. You’re thinking of cooking the fish by steaming it in the oven, but it’s been coming out soggy lately. You remember the George Foreman you got last Christmas is still sitting in the corner. Why not pull it out and give it a try? You discover the electric grill cooks the salmon faster, but more thoroughly than the oven. The fat has melted off and left you with a buttery, flavorful fish in just a few minutes. Most people are introduced to electric grilling through the most common type of electric grill, the George Foreman grill, which went mainstream because of its barrage of infomercials that swept through cable television in the 1990s. Today, however, the Foreman grill is just the tip of the iceberg when it comes to electric grill options. There are many sizes of grills on the market, with many of them built for both indoor and outdoor use. Many of them specialize in different barbecue items as well, such as chickens, skewers, hot dogs and hamburgers. 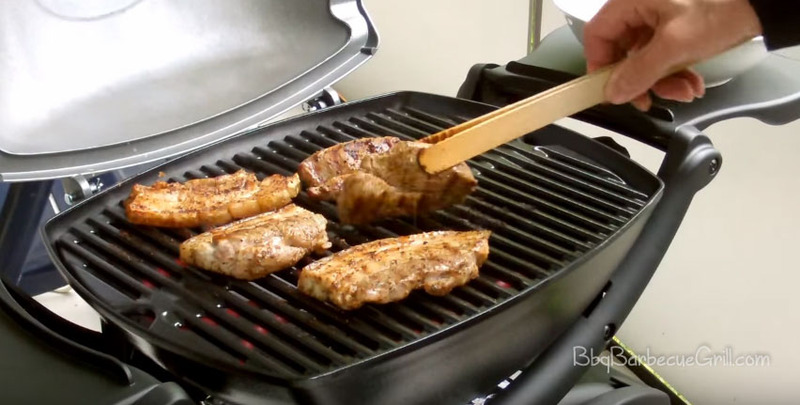 When you’re looking up the benefits of the electric grill, there are quite a few pros. 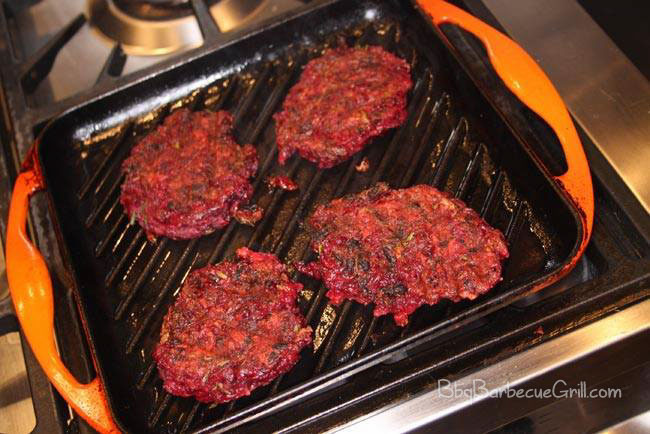 An electric grill can cook up a lot of foods, including fruits and vegetables and sandwiches. On any given day, you can cook up fresh tomatoes, Paninis, pears and steak. Grill versus oven cooking time is one of the most important aspects of using an electric grill. You simply can’t cook a bunch of hot dogs up in a few minutes using any other method. Electric grills come in many sizes. You can get tabletop grills for a bachelor or a party of two, or purchase larger grills that sit out on the patio and cook for a party of eight or twelve. These grills can cook dinner quickly, but the more food you’re cooking, the longer it will take. The advantage is that the heat is usually distributed evenly, meaning there won’t be any undercooked parts or burnt parts if you cook it at the correct temperature. One of the cons, however, of cooking like this is that sometimes you just can’t get the meat to come out right. Cooked at a slow temperature for too long can cause a pork chop to come out rubbery, so if your devices thermometer is off, then you’ll have to experiment to get the right settings for certain meals. This can be a pain, and slow down an otherwise quick and convenient meal. When you’re oven cooking, you typically place a cast iron griddle over the stove burners and wait for them to heat. It works as more of a griddle than a grill, giving you the ability to cook multiple things at once on different sides of the stove. This can be a lot of fun when planning breakfasts or brunches; you’re able to cook eggs, bacon and sausage on the stove, all at once. Iron grill pans work well to help you cook things at a high temperature, especially when you need to cook multiple things for multiple people. Season your food well to make sure that it comes out bursting with flavor. Grilling food on the stovetop tastes different from the baked food you’ll put in the oven to cook. Typically, the stovetop food is grilled and comes out more quickly, retaining many of its juices as it cooks. Searing is a favorite activity when you’re cooking on a stovetop grill. Baking food in the oven often requires high temperatures. Sometimes fish will bake and even steam inside the oven, however, they often lose their flavor and moisture if they’re cooked just a minute too long. So, what’s the difference between grilling and roasting, then? Grilling is usually over an open flame or a heat source for a short period of time. In face, grilling is actually the fastest way to cook any meal of fresh meat, fish or poultry. When it comes to efficiency, roasting is the opposite. 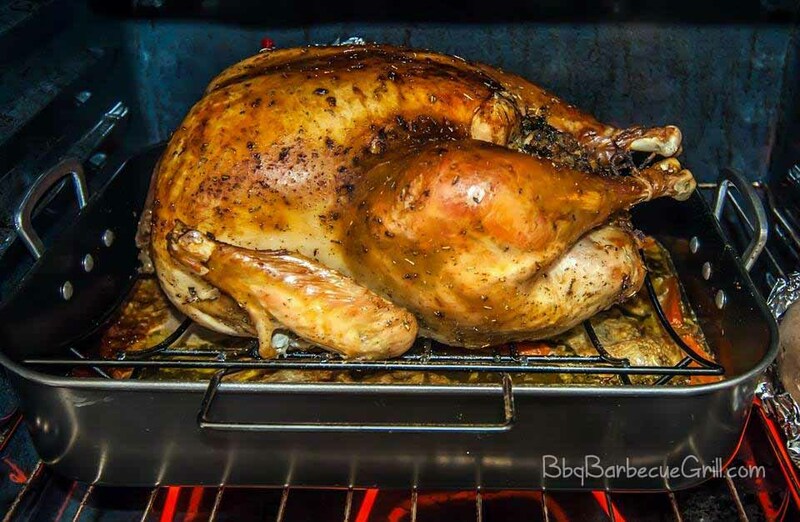 You can roast a turkey in the oven, and it will take a good seven hours for it to be cooked all the way. You can also roast a pig on an open fire, turning it every half hour or so, but you will still end up with several hours wait. Often, a roast will be in a pan on top of an open flame or in the oven, and the cook will baste it with its own juices periodically while it simmers. Many people confuse these two terms, but they describe two quite opposite cooking methods. Meat lovers love a good cut of meat, cooked to perfection, no matter if it’s been simmering on a stovetop or seared over a flame. All cooking methods are up to personal preference. People often choose grilling because it’s simply the fastest way to cook hot dogs and hamburgers for a crowd. Grilling will always be popular, and stovetop grilling is now a rising star of the meat lover crowd. Try out a stovetop griddle some time if you can. They are for a reasonable price and work well on pretty much any modern stove. Experimenting with new cooking methods can invigorate us into better cooking in general. So try out a thing or two on this website, and make sure to explore our other articles.